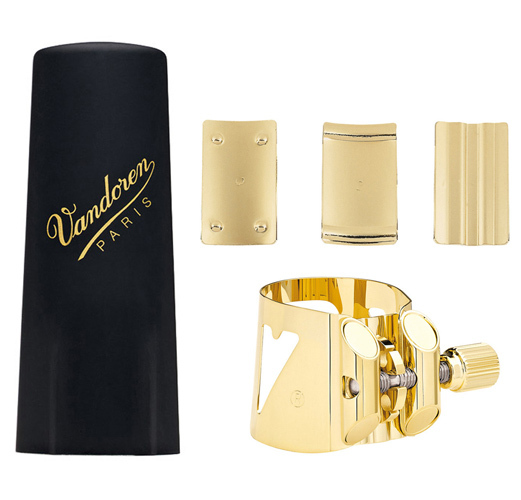 The classic Vandoren Optimum design is introduced here to fit the Vandoren V16 range of ebonite Baritone Sax mouthpieces. The metal design with a quick, symmetrical tightening mechanism ensures even pressure around the reed and mouthpiece. The 3 interchangeable pressure plates allow the musician to choose their tonal and resistance points. This excellent design has been a firm favourite with Sax players for many years.